Table 28.7 is a list of the currently available products, and Figure 28.10 shows their structures. Most vitamin supplements containing vitamin D singly, or in combination with other vitamins as multivitamin preparations, contain chole-calciferol. However, ergocalciferol can also be used These are available in various preparations under many different names as oral capsules, tablets, solutions, and powders. Table 28.7 also shows the vitamin D analogs used in the treatment of renal osteodystrophy that occurs as a result of secondary hyperparathyroidism in patients unable to convert calcidiol to the active calcitriol. 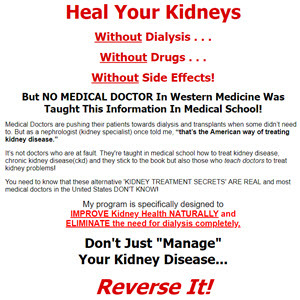 This is most often seen in severe renal failure, especially in patients on dialysis. Each of these products already has the 1a-hydroxy, so the need for bioactivation by the kidney is circumvented. Finally, calcipotriene is available for the treatment of psoriasis. Since the early 1920s, it was known that rats fed only cow's milk cannot produce offspring. In 1922, Evans and Bishop81 discovered an unrecognized dietary factor essential for reproduction. In 1924, Sure82 named the principle that could rectify this deficiency vitamin E. When the compound known as vitamin E was isolated from wheat germ oil in 1936 by Evans et al.,83 it was named a-tocopherol, from the Greek words tokos meaning "childbirth," phero meaning "to bear," and "-ol" indicating an alcohol. The structure84 and synthesis85 of a-tocopherol were reported in 1938. Since then, several other closely related compounds have been discovered from natural sources, and this family of natural products took the generic name tocopherols. The tocopherols are especially abundant in wheat germ, rice germ, corn germ, other seed germs, lettuce, soya, and cottonseed oil. All green plants contain some tocopherols, and there is evidence that some green leafy vegetables and rose hips contain more than wheat germ. It is probably synthesized by leaves and translocated to the seeds. All four tocopherols have been found in wheat germ oil; a-, 3-, and y-tocopherols have been found in cottonseed oil. Corn oil contains predominantly y-tocopherol and thus furnishes a convenient source for the isolation of this difficult member of the tocopherols. S-Tocopherol is 30% of the mixed tocopherols of soya bean oil. Palm oil contains about 30% of tocopherols and 70% of tocotrienols. Cereals like oat, rye, and barley contain small amounts of tocotrienols.